Find the perfect teacher or instructor in Capitol Hill for private saxophone lessons in your home or in their studio. 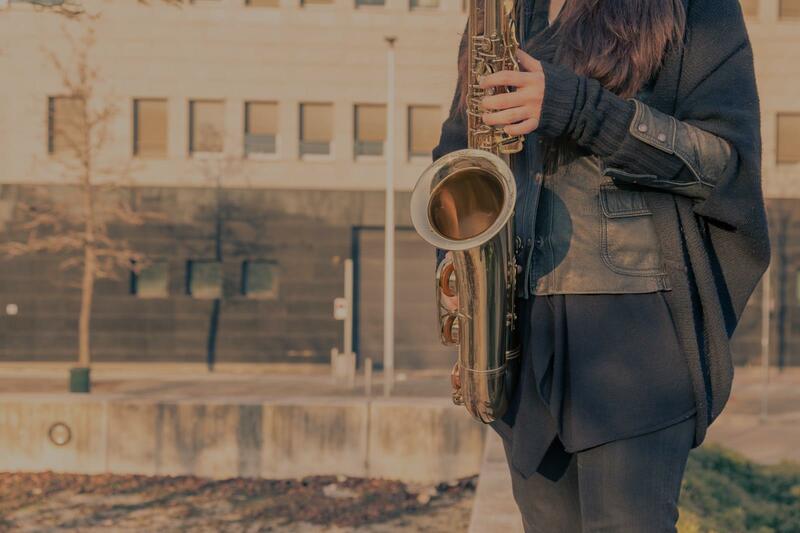 Professional saxophonist, trained at the nations top music schools, I teach students of all levels and ages, whether just beginning or an experienced player. I have a great amount of experience in both classical and jazz and have been playing for about 18 years myself. In addition to helping students establish solid fundamentals, I can help you reach your goals, whether that be through working on classical solo repertoire, jazz and improvisation, band music, preparing for a competition or audition, and more. I try to make lessons fun and enjoyable for the student. Learn to become a Professional performer in a number of styles including jazz, pop, soul, funk and classical. A confident and experienced teacher from beginner to advanced and to all ages. Lessons are tailored to each students goals and requirements and cover things like technique, improvisation, repertoire, theory, harmony and doubling. I have played saxophone for 7 years, and have taught saxophone student's as a P.A.L.S. teacher at the Aspen Music Summer Festival. I enjoy teaching everything from beginning fundamentals to jazz and improvisation. I am an avid clarinetist, energetic performer and enthusiastic teacher. My dream career is to be a soloist like Martin Frost, to play in an orchestra, or compose and perform my music. My passion for teaching is similar to my passion for performing, and I have experience teaching privately since 2013 and in front of large groups, as a staff member for a high school marching band. My teaching style is all about fundamentals as I try and break down the things you need to know about playing into easy to understand fundamentals that can be applied to all future playing. My daughter said he was very helpful and taught her fundamentals that will help her for years to come. With over 20 years playing experience Preston began playing professionally very early. He has toured over 6 countries including England, France, Switzerland and Italy. He received his degree in Jazz Studies/ Performance from the prestigious University of North Texas Jazz program, the first Jazz program in the country and still the greatest with alumni like Norah Jones, The Eagles and The Blues Brothers. A very patient person.Listens too what i'm saying has got me doing things i really haven't thought about doing before,such as listening and playing the notes from the bass line.Something new i'm going too have too get used to doing in order too become a better sax player. He is a great instructor, and makes learning fun. Sound is the key. Developing and nurturing a solid sound opens up all other aspects of music. Once we have a solid sound we can depend on everything we play is more effective. I teach basic musicianship along with advanced sound production techniques. Spontaneous creation and composition. I can help you freely improvise in any situation and become a functionary player as well as a soloist. I have been playing the saxophone fro 45 years. I think its all about the sound, the tone. I played with the Microscopic Septet and William Parker's Little Huey Creative Music Orchestra. I'm a beginning saxophone player and have been working with Dave for a couple of months. Very patient and inspiring, I've been very happy with him. "Brad is great! My son really enjoys taking lessons from him and we can hear the improvement!!" Denver, CO teacher: Brad F.
stener. She teaches while involving Emma in the lesson plan. She is collaborative but has clear expectations for growth; it has been the instructional style our daughter needed. Leslie has also been very flexible with last minute schedule changes and is very responsive. We were nervous to use this platform as a new student, but it has been more effective than in-person instruction. Highly recommend Leslie!" "Leslie is very knowledgeable, flexible, listens well, teaches well and very encouraging. I couldn’t ask for more, and I’ve had three other teachers. excited about learning from her."